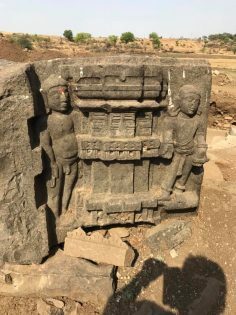 One such place is a very recently excavated site of Sakleshwar temple of Lord Shiv at Ambejogai, Maharashtra, India. Buried in an unknown time zone since long, this site has no Truth or Myth. 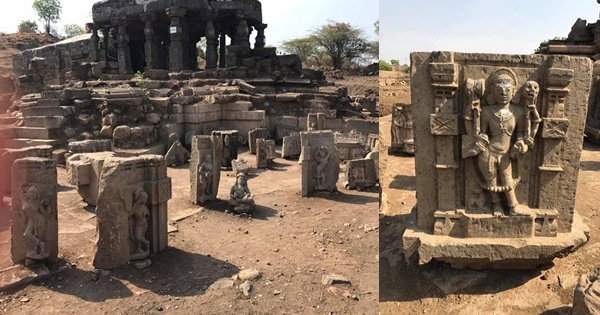 Very little is known about this completely barren ancient temple site except many sculptures scattered all around waiting for someone to unveil their history!! Sakleshwar temple with its many pillars, stood in a dilapidated condition for long, colloquially named by the locals as ‘Bara Khamba Temple’. The reason for this name of course are the many pillars standing on the outer hall. 12 pillars are the most prominent and beautifully carved out of the temple. The temple was ravaged by time, not visited at all, almost taken over by wild trees and elements of nature. It was until one day, very recently, when the locals took up a cleanliness drive in the vicinity and accidentally excavated many sculptures!! 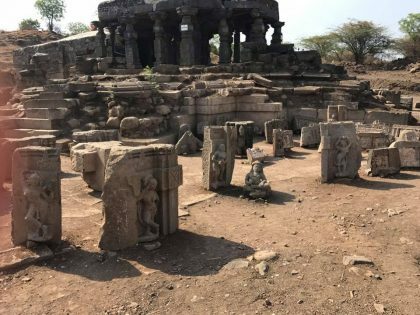 Countless historical events lay buried below the site of Sakleshwar temple which by now seem to be ready to come out of its hibernation. It was fascinating to stand among these ancient magnificently carved stone artefacts with a completely unknown past. Something inside me said that the site which is currently suffering from a temporary memory loss has many stories to tell. In a continually wonder struck state, I moved into the outer ring of what looked like an ornately designed stepwell only partially excavated!! How large was this temple site? Stepwells usually has large and deep area to conserve water body and this entire site was barren!! How much is yet to get revealed? 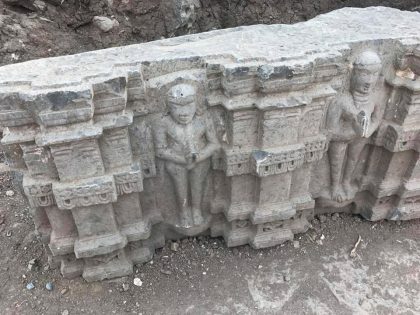 The excavation site and architecture of Sakleshwar temple point towards Kalyani Chalukyan era (10-12th century) without certainty of course. 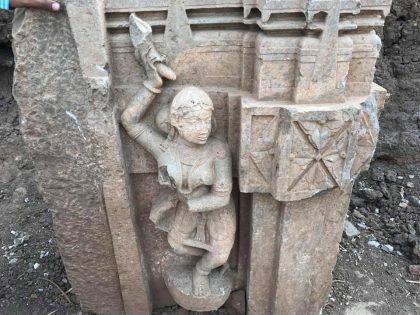 Who must have built this temple and why was it destroyed? Perplexing site indeed!! Ambejogai is definitely a pilgrimage centre of the past and present. Lord Shiv of Sakleshwar temple could be much revered and frequented by thousands of devotees during a forgotten time only to be deliberately destroyed one day, completely erased from the antiquity!! Much history is waiting to be revealed about this temple city of the bygone era. Visit Sakleshwar temple of Ambejogai if you want a raw site, a perfect place to ‘visualise a few chapters of forgotten history’ buried below. It’s definitely intriguing!! Visit the author’s personal travel blog Travel Truth & Myth. Explore heritage tourist places with Pii India Tour and Travels. Joydeep Datta is an avid traveler, blogger, and book reviewer. A Nature admirer, he is passionate about Tibetan Mastiffs and trees.